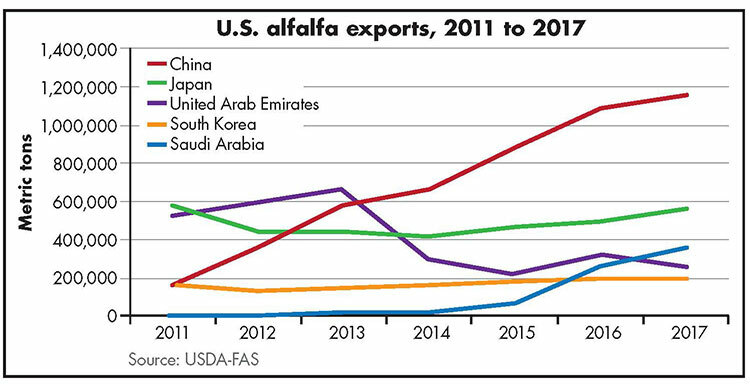 South Korea imported 3.2 percent more U.S. alfalfa in 2017 than 2016. Exports to the Winter Olympics host country have remained rather stable in recent years, nearing 0.2 million MT. 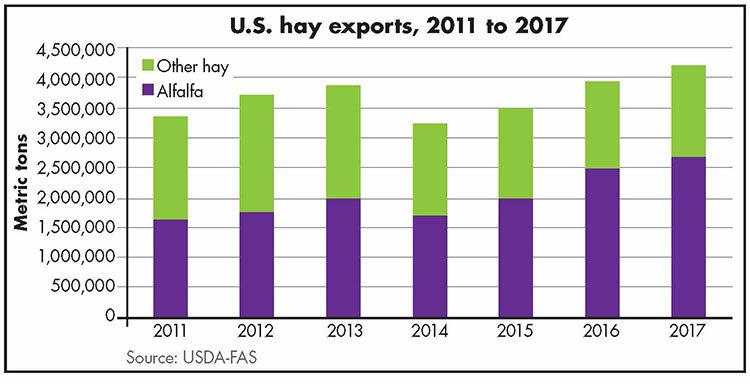 Japan leads all export partners for nonalfalfa hay. They imported 0.76 million MT in 2017, 5 percent more than the previous year. This article appeared in the March 2018 issue of Hay & Forage Grower on page 12.